With holiday festivities right around the corner, it's time to start thinking about what to wear to all these fancy functions! 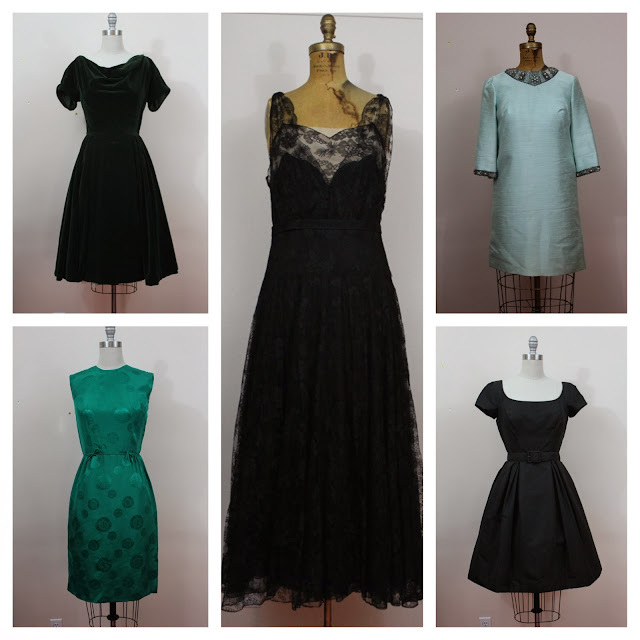 Here's a preview of part of the holiday dress collection that is coming soon to the shop. If you are interested in reserving a dress or just want more info, feel free to shoot me an email (click on the contact me button below) or message me directly though etsy. 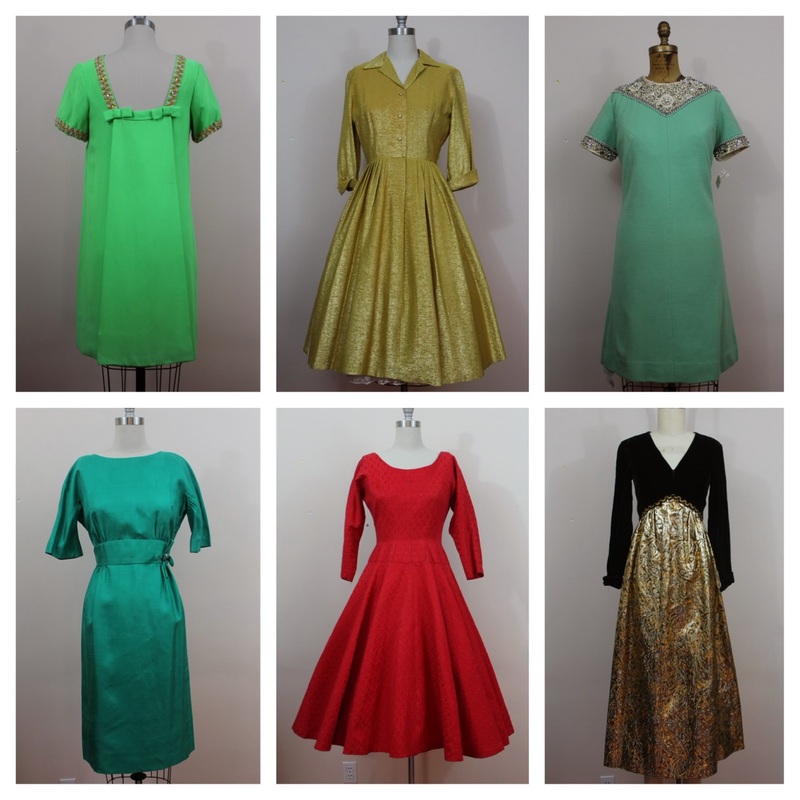 These dresses should hit the shop between next week and the following week. Want $25 store credit to Livin' Vintage Shop to put towards your holiday ensemble? Take my etsy shopper survey for a chance to win!